In part one I wanted to give the high level workflows that were used. Now it’s time to start going over how each individual application was setup to achieve the workflows described in part one. As WooCommerce is the initiator of all the data flow it makes sense to cover how that was setup and what plugins, both free and paid, were deployed in order to make it all work. I won’t go over the full installations, but I will cover all the plugins and why they were important to the setup for these new Pop-Up Shops. Below is the full list of plugins deployed specific to WooCommerce. I will go into detail on a few of them that are specifically important and any tweaks that were made. I broke these down into the category they helped with. As you can see some are marked as free, but all the others had to be purchased, but hopefully you can see will be well worth their costs, some more than others. These are pretty straight forward and don’t really need much explanation. I will note that the only thing you can set up is QuickBooks Online integration with PayPal for easy import of the transactions. For CardConnect we will see later in the Zapier setups how I was able to capture those and create sales receipts. At the end of the day both are easy plugins natively to set up and both have sandbox capabilities. There is other payment options these are the two Julie uses. Most people run Jetpack and that is used by the WooCommerce services to provide free USPS shipping rates. If you want to get live rates for UPS and FedEx you have to buy plugins, but for the purposes of STK Promotions, USPS works perfectly. You just need to setup your base location address and then your rates of choice based on zones. You can mix and match and for future use we even setup a Local Pickup, and Free Shipping (with coupon) option. As most people found out for simplicity she limits her shipping to US addresses for now. For tax rates they do support automatic rates based on TaxJar’s API. However, leave it to me to find out there is an open bug on city based rates. Therefore I had to fall back to manual rates for now since Julie only charges sales tax on items shipped into Tennessee. At least for now until all the nexus law changes to into effect. At that point I may have to leverage the full TaxJar plugin and account for automatic filing. The trick was to set up a standard rate and an all other “Zero” rate. These two plugins just add the ability to easily edit the Store Front Theme. I can honestly say I have not been able to get the contact section working for some reason, but the Homepage Control is useful and accessed in the customize section of WordPress. This is useful only if using the Store Front theme but did make things easier to manage based on a few other plugins. These two are completely optional, but we wanted to ensure people were able to use other options to create an account. About half of the orders had accounts created and that allows people to track the order status as well. Both of these are used on the STK Promotions Pop Up Shop registration page, but the Social Login also gives the option to use it on the checkout screen as well as post checkout. 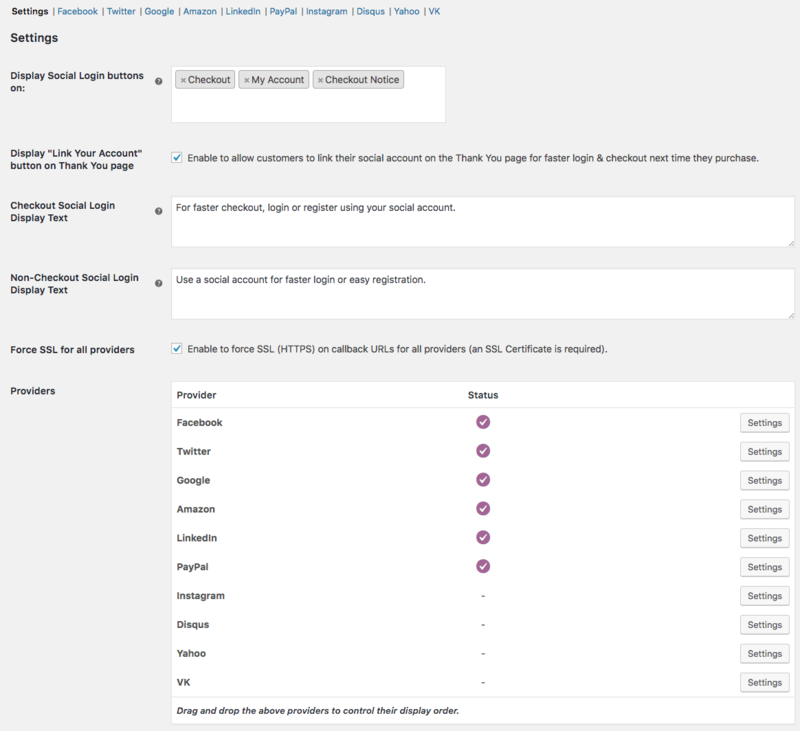 The Social Login plugin requires setting up API access to the various options. It took a bit of time to configure and test, but I am glad I did it. This will be widely used on a new site Suburban Zoo that is currently being worked on. More likely people will setup repeat order accounts there based on the nature of the products. 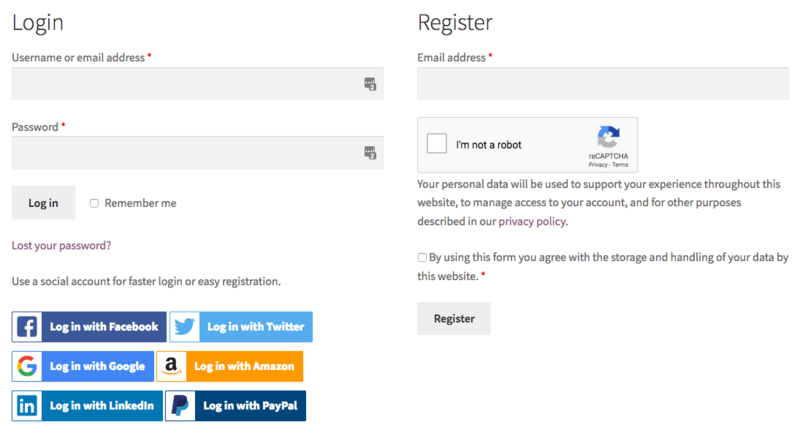 Both plugins are shown presented here, and the reCAPTCHA has the option of which pages to use it on, currently I selected only the Register and Lost Password options. Below you can see all the services available for the Social Login plugin. You can also see which pages you want to show it on. These are where I personally got really excited. If you have a store and ship ANYTHING, you really want to get ShipStation. 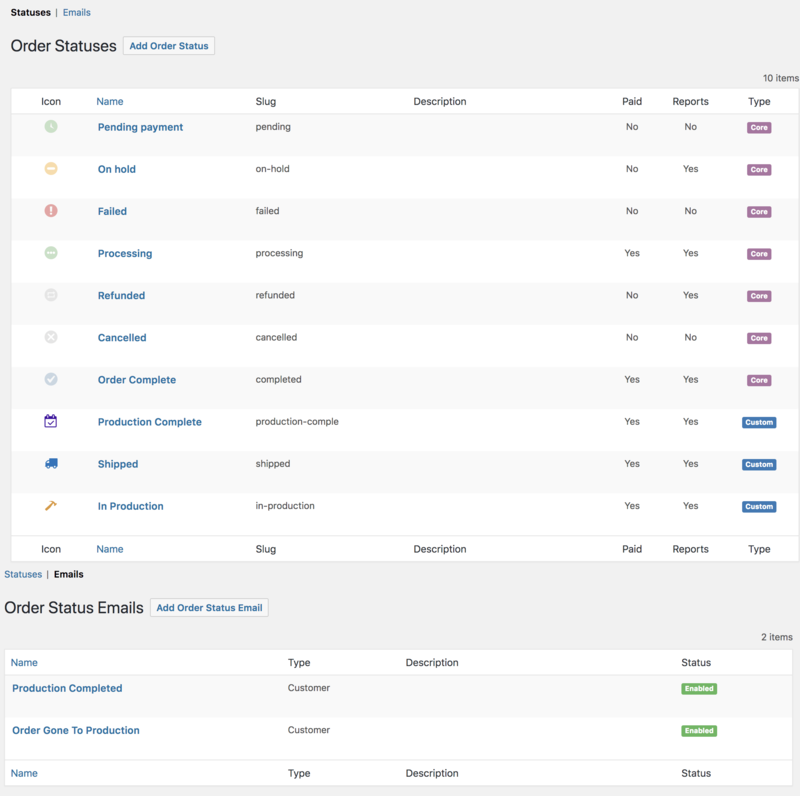 The main reason we like this tool is the fact it is integrated with WooCommerce, it has Zapier connectivity, it has its own internal workflows, includes a branded tracking page, and the user interface is just plain awesome. Setting up the connectivity is easy but you do have to pay attention to the statuses you export especially if you use the Order Status Manager plugin below. The shipment tracking plugin simply adds any tracking information passed back from ShipStation back into the order information for people to see if they have an account login. 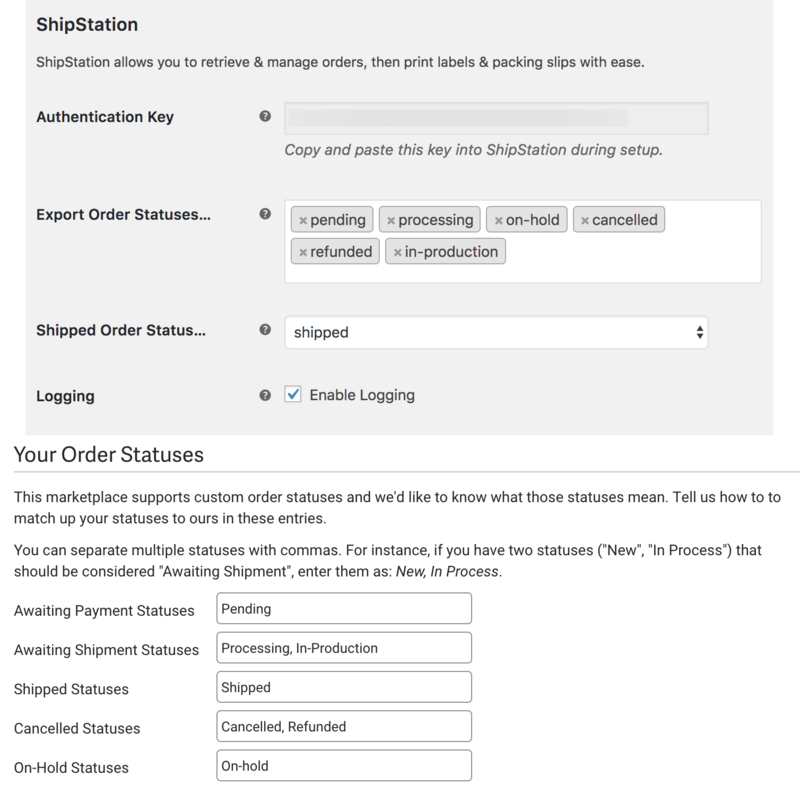 You can see below the order statuses that WooCommerce exports on top and the corresponding setup in ShipStation ones below. A couple of these are not core statuses they are added by the order status plugin. I will go much more into detail on the ShipStation integration later. These plugins added priamry product functions we needed for the individual “shops” without having to create new complete installations for a temporary order system. The brands plugin simply adds a nice touch on the product screen for the brand of the item. The product add-ons allowed us to create options for personalization to items. Cost of goods was something we wanted to track the cost versus sales pricing on the back end. The product add-on even supports “global” options to be applied to all items in a category which came in very handy. That way you don’t need to add it on every individual product and variation. Lastly, Protected categories is what made the magic happen. In order to only allow each team to see their specific items this plugin did the trick. You simply setup a product and assign it to a category with a password set on it. Each team then goes to the same login page and passed on the different passwords the right products are presented. Honestly, truly brilliant plugin. Once activated it adds the options below which provides a lot of flexibility. These plugins added some more user functionality as well as the jump off point for other things to come. The Twilio plugin was added as a test for the other site Suburban Zoo, but a few people took advantage of it. It allows SMS notifications on a PER ORDER basis so you can see the status updates we’ve configured above in a simple SMS message. It requires setting up a Twilio account, but it adds a simple check box on the checkout screen and in the administration back-end to enable SMS updates for your order. Very handy as many people miss the emails for various reasons. You can set the statuses to alert on as seen below. Zapier Integration is where all things kick off. The trick to this one is you will most likely need to set up multiple Zapier feeds that EVERY order gets sent to. 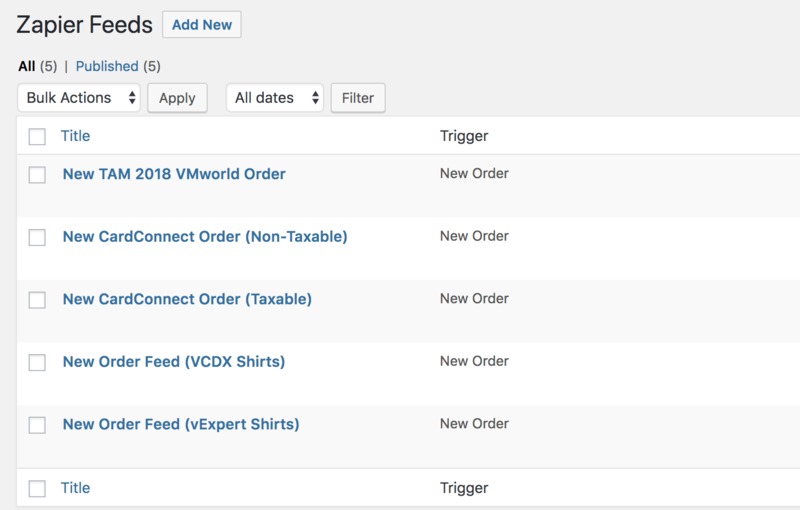 For Zapier to really work we needed different workflows in parallel and in order for that you need to send each order to all feeds and let the feeds then figure out if they should continue. There will be much more to this. Just know as seen below that feeds are global and can’t be assigned to specific orders as they come in. As you build Zaps this is key to understand. You can trigger on new orders, customers, or status changes so for me it was all based on new orders for now. That could change later. These last two were just something we wanted to have. 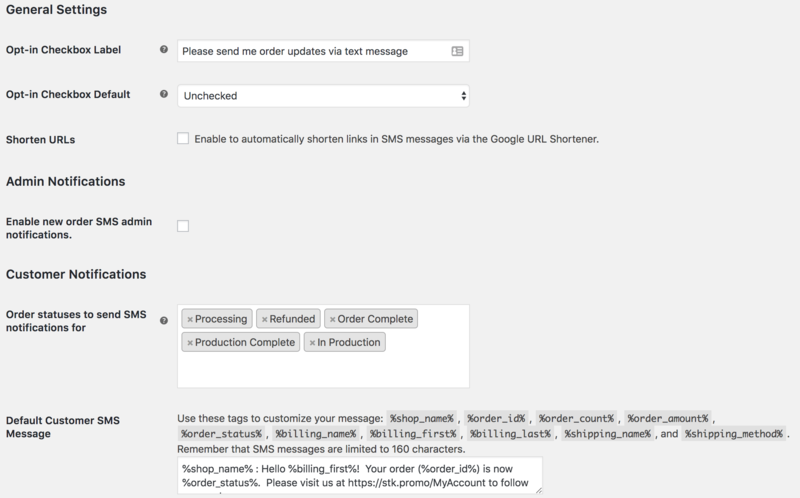 The checkout editor allowed me to add an opt-in for newsletters, but also add a second phone field as the default one is reserved for the Twilio SMS plugin. It’s just an easy way to add new fields and re-arrange them. The Analytics plugin is pretty self-explanatory. 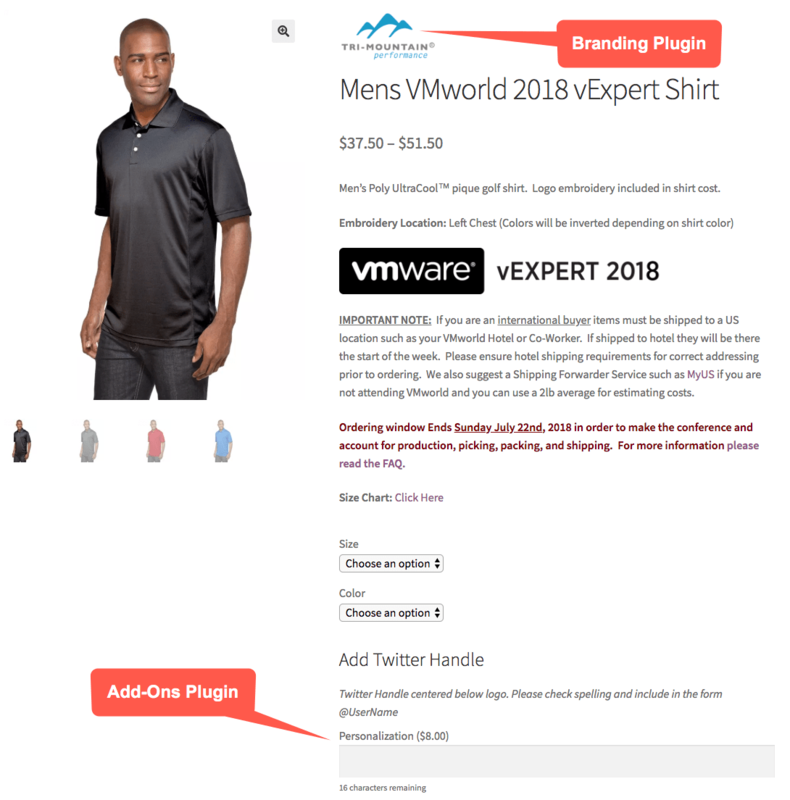 While WooCommerce itself is a free plugin and has a ton of functionality, you will find that adding key plugins to handle more of what you want to do. I’ve settled on these plugins for now as they have provided all the jump off capabilities to make the STK Promotions Pop-Up Shops a repeatable system. While it started with vExperts, and then added two other teams in the same month. Now Julie can use this system for other customers to create instant order shops for a short time period. The next application in the mix I will cover will be Zapier since that is a lot of the glue.